Last Assignment for my Primary 1 students is a simple collage. They worked on it for weeks, 3 weeks to make it precise. 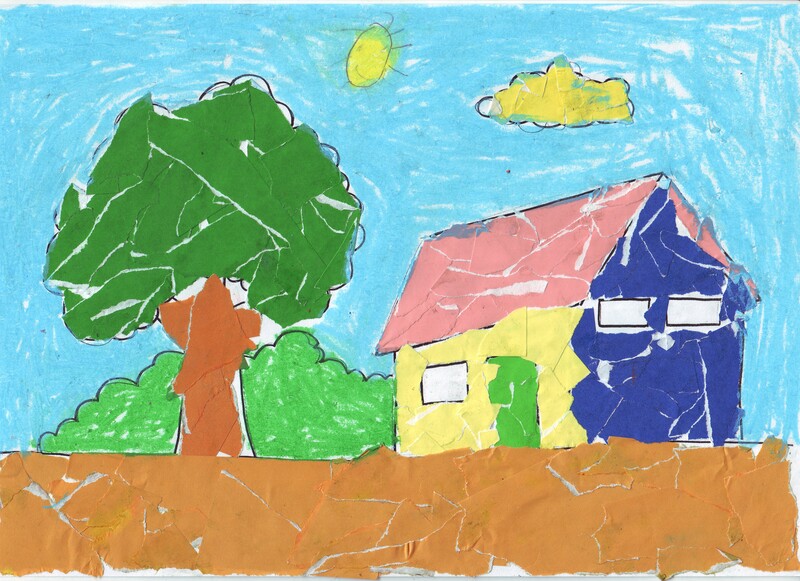 I give them a raw picture, the scenery of a house and tree, and the students have to ‘colour’ it using pieces of coloured paper. Some students pull out their best effort and covered all surface of the drawing with pieces of paper. Some of them are giving up tearing and pasting bits of paper on to the drawing, and finish it by applying colour on it by crayon. This activity trains the students to be patient and it will show their endurance on doing such a work neatly in quite a long period of time. They need to have this quality. 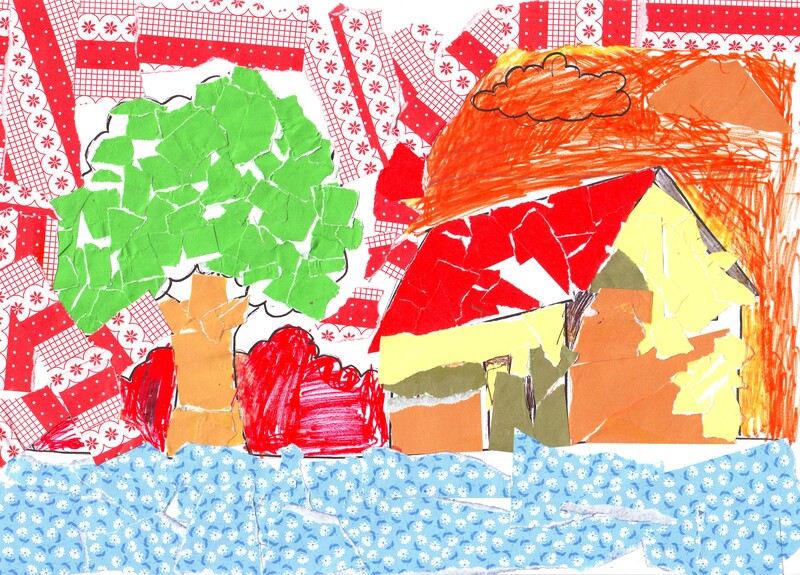 This entry was posted in student's works and tagged art, artwork, collage, Primary. Bookmark the permalink.